Why do solar projects need surge protection? Solar arrays, like all electronic devices, are prone to surges in voltage that can harm components and increase downtime. Surge protection devices can help keep systems running and profitable. Think of a home or office computer. In addition to the desktop or laptop, there may be an external monitor, speakers and even a printer. That’s too many components to plug into a wall outlet, so most people purchase a power strip. But that power strip is more than just a convenient method of plugging a bunch of stuff into one outlet; it actually helps protect those electronics from the harmful effects of power surges. A power surge, also called a transient voltage, is a generally short increase in voltage that’s well above normal levels. For example, the standard voltage for a home or office is 120 V. Voltage can be thought of as electrical pressure. So just as too much water pressure will burst a garden hose, too high a voltage could damage electronics. These surges can come from natural sources, such as lightning, as well as internal or external equipment on the grid. A surge protector helps prevent damage to electronics by diverting the extra electricity from the “hot” power line into a grounding wire. In most common surge protectors, this is achieved through a metal oxide varistor (MOV), a piece of metal oxide joined to the power and grounding lines by two semiconductors. Solar arrays are also electronic devices and so are subject to the same potential for damage from surges. Solar panels are especially prone to lightning strikes due to their large surface area and placement in exposed locations, such as on rooftops or ground-mounted in open spaces. Solar contractors aren’t always aware if they’re building in a lightning-prone area. Alltec, which also provides SPDs, incorporates data from the U.S. Lightning Detection Network in a free tool that allows solar contractors to assess the lightning risk of their projects. Lightning is about 50,000°F—five times hotter than the sun—so it’s not surprising it can be detrimental to solar equipment. “If the solar panels are struck directly, lightning can burn holes in the equipment or even cause explosions, and the entire system is destroyed,” said Ethan Pace, SPD product manager at Alltec. But the effects of lighting and other overvoltages aren’t always so strikingly apparent. Sylawa said that the secondary effects of these events can not only affect major components such as modules and inverters, but also monitoring systems, tracker controls and weather stations. Because all electrical equipment is susceptible to surges, SPDs are available for all solar array components. The industrial versions of these devices also use metal oxide varistors (MOV) in combination with other sophisticated equipment to conduct surge overvoltages to grounding. Therefore, SPDs are generally installed after a stable grounding system is in place. A SPD network should be installed throughout the solar array’s AC and DC power distribution to protect critical circuits. SPDs should be installed on both the DC inputs and AC outputs of the system’s inverter(s) and be deployed with reference to ground on both the positive and negative DC lines. AC protection should be deployed on each power conductor to the ground. Combiner circuits should also be protected, as should all control circuits and even tracking and monitoring systems to prevent interference and data loss. When it comes to commercial and utility-scale systems, Sylawa suggests using the 10-m rule. For installations with DC cable lengths under 10 m (33 ft), DC solar surge protection should be installed at a convenient point such as at inverters, combiner boxes or closer to the solar modules. For installations with DC cabling over 10 m, surge protection should be installed at both the inverter and module ends of the cables. Residential solar systems with microinverters have very short DC cabling, but longer AC cables. An SPD installed at the combiner box can protect the home from array surges. An SPD on the main panel can protect the home from array surges as well, in addition to those from utility power and other internal equipment. In any size system, SPDs should be installed by a licensed electrician in accordance with manufacturer recommendations and installation and electrical codes to maximize safety and effectiveness. Additional steps, such as adding lightning air terminals, can be taken to further protect a solar array specifically from lighting. Even the most robust surge protection scheme has its limitations. For example, SPDs can’t prevent physical damage from direct lightning strikes. “This is the best modern science can do,” Grasty said. While surge protection technology has been around for some time, it has yet to find a permanent presence in the U.S. solar industry. Grasty attributes this to cost. He sees more chance for successful SPD adoption in the residential and small commercial markets because the owner-operator is the one making the purchase. It’s also a lot less expensive to equip a home with surge protection than a large solar array, even though surge protection has a more discernable ROI for utility projects. “If they’re getting a certain amount of damage per year and then put in the surge suppression and that amount drops to zero, they can see that payback immediately,” he said. 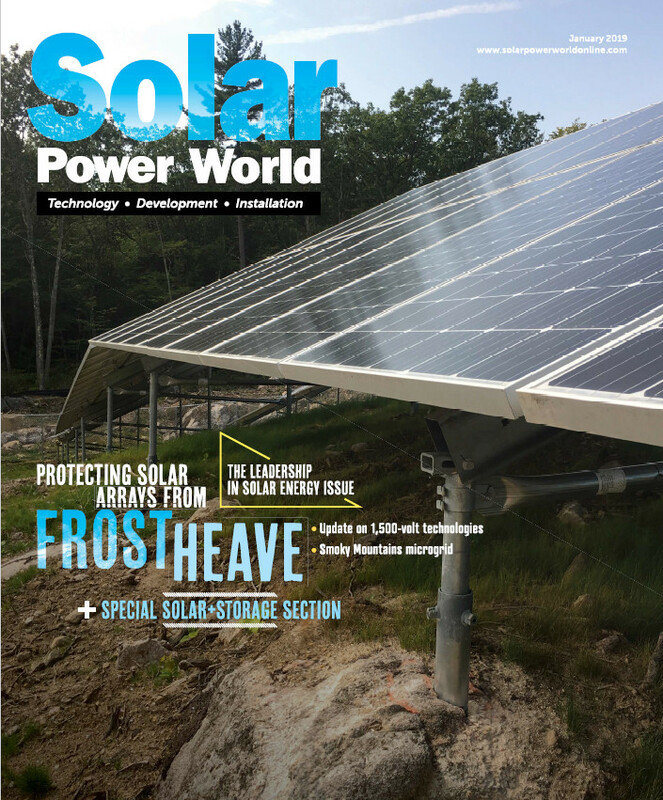 Montana Busch, president and CEO of Georgia-based solar contractor Alternative Energy Southeast, feels the cost pressures of adding surge protection in the competitive residential solar industry. But Sylawa sees surge protection as critical to ensuring solar’s bankability.